Narayana Health operates a system of 31 hospitals, seven heart centres, and a network of primary care facilities across India. The organisation provides advanced levels of care in over 30 specialities including cardiology and cardiac surgery, cancer care, neurology and neurosurgery, orthopaedics, nephrology and urology. The Narayana Health mission is of delivering high quality and affordable healthcare services to the broad population by leveraging economies of scale, skilled doctors, an efficient business model and best practice technologies. Previously, Narayana Health used a mass of servers in local data centres to run mission critical healthcare and business applications., as well as store x-rays and scans. Local telco links supported connectivity, which presented drawbacks, such as an unreliable network with recurring outages delaying medical teams from accessing critical patient case data. They found that disparate systems lacking centralised management led to inefficiencies and poor productivity, while unmanaged localised routers increased the possibility of failure and security breaches, while the infrastructure couldn’t scale quickly to meet continuing business growth. Recognising an urgent need to replace its systems with a reliable, high-performing infrastructure, Narayana Health chose a unified solution running on Tata Communications and Microsoft Azure. Microsoft Azure helps maximise agility for Narayana Health through automation and platform services, while offering compute and storage scalability. Now a Tata Communications solution with multiple redundancy for no single-point-of failure achieves the desired high availability. A Tata Communications Global VPN ensures high performance. 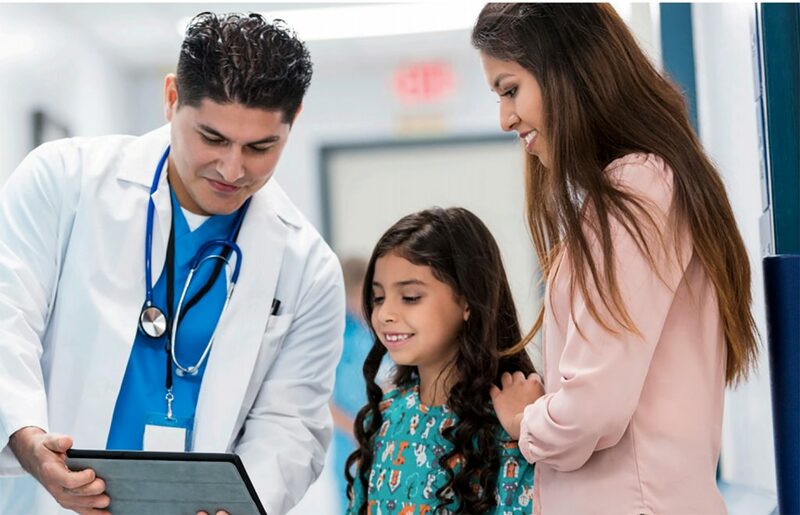 Tata Communications IZO™ Private Connect links every Narayana Health facility direct to the Microsoft Azure cloud for instant data access. Key Narayana Health business and clinical applications, including electronic patient records, run in the Microsoft Azure cloud. Meanwhile, x-ray and scan files are stored on a picture and archiving communications system (PACS) in the main hospital. In addition, Narayana Health uses Tata Communications audio conferencing services and other managed collaboration tools to improve efficiency and knowledge sharing. Narayana Health is one of India’s leading healthcare providers. But its legacy systems were letting it down. Networks were subject to aggravating outages. Medical teams had to wait to access vital patient data. Further, poor redundancy and security complicated matters. Lack of agility meant it couldn’t easily scale to match growing demands. Microsoft Azure meets compute and storage requirements while virtualisation maximises agility. Dual diversified last mile links and redundant active-active PoPs connect over 26 sites. A Global VPN and IZO™ Private Connect provide access to the Microsoft Azure cloud in Chennai and Pune. The intelligent Dynamic Path Selection load-sharing capability ensures automatic failover and uninterrupted data access. The combination of Tata Communications and Microsoft Azure helps Narayana Health achieve 99.999 per cent uptime. IZO™ Private Connect means cloud data is carried securely and at high speed over the Tata Communications Global VPN with only a short hop to a Microsoft Azure data centre. That means Narayana Health professional clinicians anywhere can quickly access vital patient data. Meanwhile, the absence of downtime and the fact that clinical applications respond three-times more quickly than before makes staff more efficient while elevating levels of patient care.